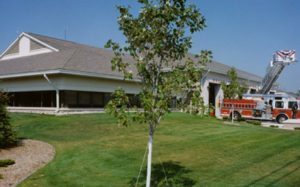 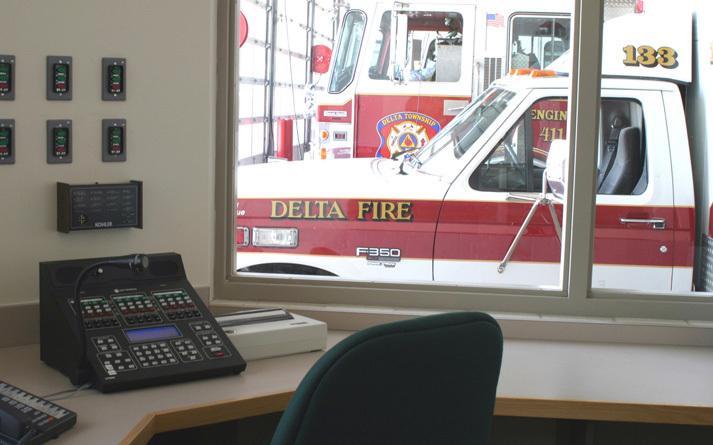 Delta Fire Station – Sidock Group Inc.
Project Size: 24,800 sq. ft.
Large six-bay drive-thru central fire station located on the civic center campus capable of handling 10-12 pieces of apparatus and trailers. 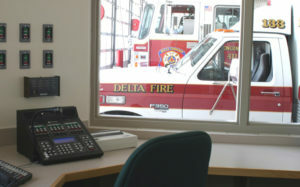 Headquarters function includes offices and major training room capable of acting as the emergency operations center (EOC). 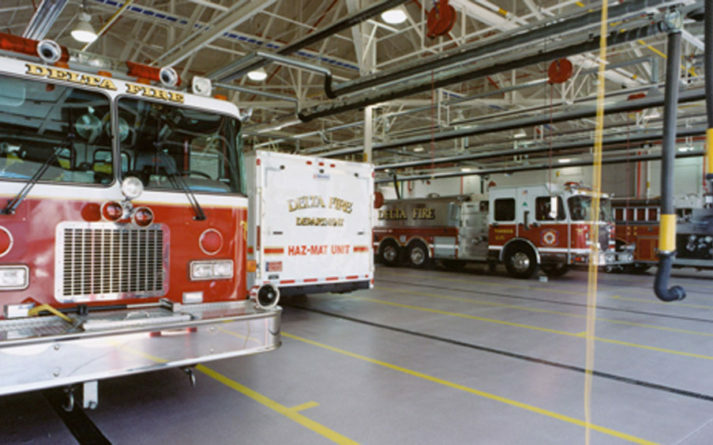 The station contains dispatch, living quarters, day room, work room, storage, and fitness area. 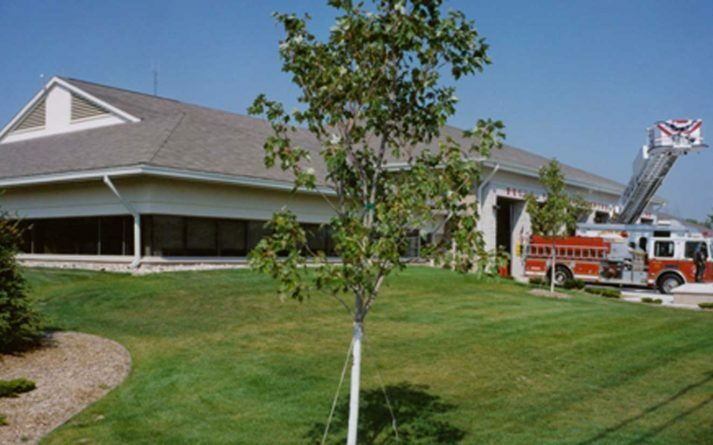 The project also included demolition of the existing station and development of a small community park in its place.